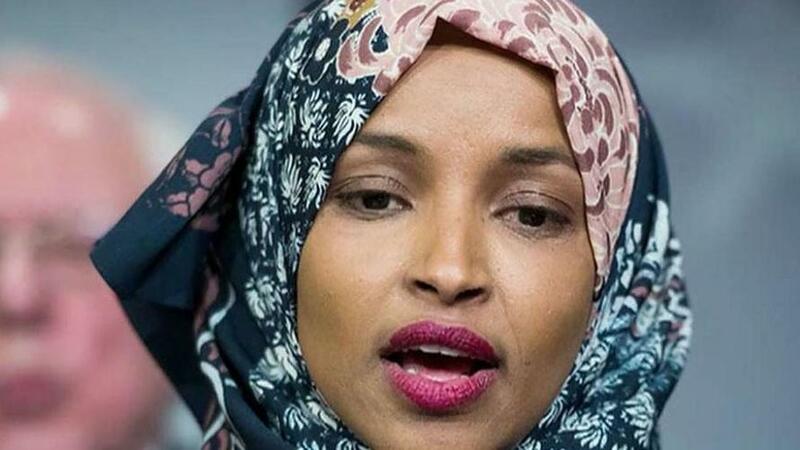 Conservatives are fuming after House Speaker Nancy Pelosi (D-CA) refused to remove Rep. Ilhan Omar (D-MN) from the House Foreign Affairs Committee over a Sunday night tweet widely interpreted as anti-Semitic, followed by a criticism of pro-Israel money in US politics. Omar issued a Monday apology, which many have compared to Rep. Steve King (R-IA) - who apologized in January over controversial remarks, yet was stripped of his committee assignments after Congressional Democrats demanded his removal. President Trump on Tuesday said to White House reporters of Omar: "I think she should either resign from congress or she should certainly resign from the House Foreign Affairs Committee." Trump added that her apology was "lame." While some have defended Rep. Omar's right to criticize Israeli money in US politics, and others have called for her to be stripped of her committee assignment, many conservatives have noted a double-standard among Democrats, who just last month called for Rep. Steve King's head after he asked in a New York Times interview when the phrases "White nationalist, white supremacist" and "western civilization" became offensive. King apologized and said he was misquoted, yet was still removed from his committee assignments by House Minority Leader Kevin McCarthy. When asked if she's worried, Omar said "Absolutely not." King, meanwhile is fighting to get his committee assignments back - releasing a letter Tuesday from over 200 "pro-family leaders" to McCarthy, who slammed the House Minority Leader for believing "a liberal news organization famous for their bias," over a member of Congress who they say has served his constituents in Iowa "honorably" for the last 16 years. "Don’t make the fatal mistake of turning the reins of the U.S. Congress over to the liberal media, allowing them to target, misquote, and falsely brand any member of Congress they wish to remove," King's letter, dated Feb 5, reads. The letter calls on McCarthy to apologize, and includes signatures from former Republican House Majority Leader Tom DeLay, Frank Gaffney of the Center for Security Policy and evangelical leader James Dobson. "I reject white nationalism. I reject white supremacy. It's not part of any of my ideology. I reject anyone who carries that ideology," said King in an apology, adding that he had been misquoted.